The very first thing you should do is take the time to properly and completely declutter your home. This will allow you to get rid of any of the things in your home space that you really don’t need and don’t want anymore. You can’t really achieve a minimalist aesthetic in your home if it’s full of clutter. So do what you can to get rid of the things that you don’t feel add anything to the space. It’s a big task and getting rid of things you’ve had for a long time can be tough, but it’ll be worth it. One thing that will have a big impact on how light your home feels is what you have on your windows. If you have a lot of window dressings that are bulky, thick and generally over the top, you will find that they block light from entering the room through the window, even when the curtains are not closed. You should consider a switch to blinds or thinner window dressings in order to help as much light as possible flow into the home via the windows. Having a colour scheme that’s simple and unified makes a huge difference. Of course, if you’re trying to make the space feel lighter, you’ll need to choose light colours for the colour scheme. A lot of people looking for that minimalist feel simply choose white as the main colour and then choose one or two other colours for the highlights and accents in the room. These provide that pop of color that are even more effective due to the otherwise white surroundings. Sliding doors are great for homes that need that extra light. So if you want to break down the barriers between your indoor and outdoor spaces, this is the solution you’ve been looking for. There are plenty of types of sliding doors out there that you can browse and explore. They all share common features though; they offer a lot of glass through which light can pass into the home and they’re great for connecting your home to the garden. Install them or rent a place that has some as soon as you get the chance to. If you have a lot of furniture items in your home already, you might want to think about streamlining and only retaining the ones that really add something to your home and that you love. Being critical of your furniture choices and getting rid of items that don’t fit into the new aesthetic you’re trying to achieve is essential. When you’re looking to take a minimalist approach, you can’t really afford to keep hold of everything because it is simply not realistic to. One of the things that’s important to both clean lines and plenty of reflected light is clean lines. They emphasize your space and make rooms feel more open. You should do what you can to make sure you’re able to keep surfaces tidy and organized. You don’t want every surface in your home to be filled with items and possessions that are not really adding anything to the space at all. Place a big focus on clean lines and clean surfaces if you possibly can. Anyone who really wants to embrace a minimalist approach to their home has to come to the realization that there is nothing to fear in empty spaces. If you’re going to get this right, you need to make the most of emptiness and not give in to the temptation to fill it. Sometimes, you just need to let those empty spaces exist and enjoy what they bring to the home. Not everything has to be used as a space to display your possessions. When you do use possessions and objects in your home, you should use them to a devastating effect! A large part of this is about using them sparingly so that the things you do choose to display have more of an impact and are more noticeable. Think about the color, meaning and size of objects and how they relate to the space in which you’re placing them. All of these things matter when you’re looking to perfect a minimalist home design. One final thing you can do is get rid of anything that you feel does the same thing as another item you possess. Discarding duplicates is not necessarily just about getting rid of items that are exactly the same as each other. It’s also about getting rid of things that fulfill the same role. If you have one item acting as a focal point in a room, do you really need another one that’s kind of doing the same thing? When you put these ideas into practice, you will create a minimalist, stylish and light home that you enjoy spending time in. It doesn’t take too much effort to get this right, and you don’t even have to get it all done in one go. Instead, you can implement these ideas over time and work towards the outcome you’re looking for. Dust off those hobbies: you know those hobbies that you had and probably dropped?! Now is the time to pick them back up again, not only will it keep you busy, it is good for mental health and will give you a sense of achievement. Read books: Yes getting stuck into a good book that you enjoy can give you new lease of life. Perhaps pick a comedy or a light hearted subject or maybe something that you wish to learn more about. Socialise with friends: Although the introvert like me thrives in their own company without a problem, at this time of year it’s still nice to socialise with close friends and family. It may be a bit of a mission to meet up physically due to weather constraints this doesn’t mean you can’t make use of modern technology to communicate with loved ones. Pick up that phone, email, FaceTime or even make use of social media to keep in touch you’ll feel a lot better for it. Get cosy: It definitely is time to get your hygge or lagom on, light those non-toxic candles or put on a diffuser, snuggle under some huge fluffy blankets. Baking is also a great way to get cosy as it fills your home with a desirable aroma and you get to eat some healthy and tasty treats when it’s done too. Watch a movie / Listen to music: There’s nothing quite like watching an uplifting movie or listening to some of your fave music to get you in a good mood. Make plans: Sometimes making plans for the future is a good way to lift your spirits whether it’s a lovely sun kissed holiday away or along term goal of yours that you want to achieve, making plans and taking steps towards the end result is always a satisfying thing. what are some ways you deal with post Christmas and New Years and winter blues? With the new year truly underway, some of us may be busy making plans for the future. Some of those plans could involve a change to our living environment whether that is a move to a new home or a big renovation to our home to customise it to our taste and needs. When it comes to home renovation projects, they’re certainly pretty exciting and can definitely be a lot of fun, but they can also be quite stressful - especially if you’re going to be making massive changes to your house, or even if you still have to live in the house whilst the renovations are going on. If you have bigger items such as furniture that you’re not intending to get rid of, then you should consider looking into places that offer local self storage so that you can keep your things safe until you’re able to use them again. Renovations are going to require the work of different professionals, so before you get carried away and go with the first person you meet, then you really need to spend some time on shopping around and speaking to different companies to see what they offer and if they’re able to fully understand the vision you have for your renovation. There’s not much worse than having a vision in mind for what your home should look like after the renovation only to have your partner totally veto the idea and neither of you can agree on what you want the place to look like. So, before you start planning the renovation, you need to make sure that everyone is on the same page and that a compromise can be reached. Renovations are expensive and can last forever if you let them, so it’s important to make sure you have a deadline and budget set for your renovation project that you actually stick to otherwise it can quickly get away from you, and before you know it, you’re completely out of your depth. How would you prepare for a big renovation project in your house? No one can deny it - some interior design themes are just more loved than others, and if you’re someone who’s looking to revamp the theme of their living room for the new year, you are probably going to want to know what they are. 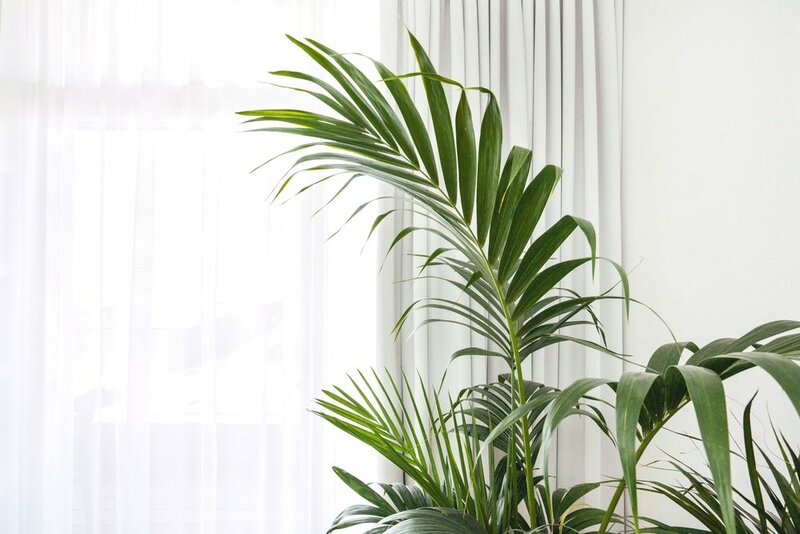 Minimalism has been popular ever since the 60s, and it’s something a lot of people swear by these days to make sure your life is uncluttered and free as a bird. But it’s a style that takes a lot of crafting and careful planning to get into, thus it might just be a little more stressful to implement than you want in your new living room design. But with simple block colours, you can create a great backdrop for situating any kind of furniture up against, especially some simple pieces like leather sofas and beanbag arm chairs. It can be a comfy yet spacious area to relax in, and gives you a nice sense of personal space you can fill up and have complete control over. Oak furniture and some accompanying wood panelling is an age old style design that a lot people swear by, seeing as it helps to keep your house cool in summer and warm during the winter. Not to mention the abundance of oak living room furniture there is out there! It’s a very accessible design anyone can get interested in. Although too much wood can make the room seem a lot smaller and quite cluttered, also if you’re a fan of the contemporary, this isn’t the style for you. The coffee table would look good made of sheer oak with a nice varnish, but anything more than that and you’ll just overwhelm the space you live in. If you are someone who always likes ducking in and out of vintage shops and retro stores, then perhaps a living room layout that reflects the values and styles of a time gone by is one for you. The Victorian era and the 1950s seem to be the most popular periods that people try to recreate, just without all of the dangerous materials present in both! You can even have a different era design for every room you walk into - 70s in the bedroom, 90s in the kitchen etc. There’s quite a few popular designs out there, just make sure you’re picking and mixing together the ones you love the best. Luxe style while being eco friendly? I hear you say! yes It is very possible! Who doesn't want to upgrade their sleeping quarters into a luxury haven, perfect for relaxing? Of course, doing so in an eco-conscious and sustainable way can be tricky. After all, those cheap accessories and duvet set may seem like a bargain but they could be doing the environment untold harm. Luckily, there's a way to achieve a balance between style and substance in this area, and it is as simple as following the steps below. Read on to find out more. One way to upgrade your bedroom space is to consider the lighting that you have in there. Sadly, most people just stick with the main central light and perhaps a bedside lamp for reading at a push. However, such a setup doesn't quite smack of the luxury edge that we are going for here. To that end, why not move or add additional lighting features into your bedroom? You may wish to try a chandelier style feature, as they can add drama to a larger space. Alternatively, why not try lengthening the cable and changing the shade on a central light, as even such a simple change can make all the difference. Of course when it comes to being eco-friendly be sure that you are picking fittings that can be used with LED bulbs. The reason is that they use less electricity, and last way longer than the regular kind. Therefore even the most luxurious setup will be guaranteed to be as eco-friendly as possible. No bedroom would be complete without the right bedding, and luxurious linens are a must if you are aiming to create a high-end space. You will have noticed too that it's even possible to get some soft and comfortable duvet covers and sheets without spending a fortune. However, it's crucial to remember that many of the cheaper mass produced items are made in a very environmentally irresponsible way. That is why it is crucial that you research suitable bedding types like those made from Tencel fabric before you make your choice. Now, you may well be asking yourself what is Tencel bedding, especially if you haven't heard of it before. Well, it's a fabric that is not only soft on the skin and holds its colour for a long time but one that is also being manufactured sustainably. This is something that means by using it in your redecoration, you will know your bedroom will be as eco-friendly and sustainable as possible. Next, when it comes to decorating your room, there is no better way to achieve a luxury finish than to use vintage and antique furniture. After all, baroque carved wooden pieces in oak or gilded practically ooze luxe and are some of my favourite style of vintage furniture. Of course, by using pre-loved pieces either in their original state or restored and upcycled, you are choosing a much more eco-friendly option as well. This is because no additional energy or resources are needed to make such pieces, and as an added bonus you are preventing them from ending up in a landfill as well. Double win! How would you add some eco luxe to your bedroom? Is My Family Situation Likely To Change In The Next Few Years? The most important thing you need to consider is whether your family situation is likely to change in the next few years. If you plan on having children, that will completely change the layout and design. However, if you already have children and they could move out, then that’s a whole different story altogether. Consider how your family may change so you can create a home that will suit all of your needs perfectly. How Will We Most Use The Home? Think about how you most use your home. If you like to cook with your family and eating is a big part of your bonding time, then you might want to create a kitchen that reflects this. Whether you love gardening, having film nights, playing games, etc, you will want to plan for your home to reflect these elements so that you can do what you love. How Do We Want To Use Our Home? Perhaps there are ways you want to use the home but haven’t been able to because it’s just not suitable. Maybe you want to plant fresh vegetables in your garden but you can't, because you haven’t got much of a garden or a suitable patch. You can plan for this in your new home design. Designing and making over your home is the perfect opportunity for you to use your home exactly as you have always wanted. What Can We Do Ourselves And What Should We Bring In The Professionals To Do? There are likely some things you can do yourself to your home design, for example, wallpapering, painting, and other simple tasks. However, when it comes to that bespoke kitchen design and installing important elements, you’re going to need the professionals on board. Doing some DIY on some of your projects can save you a lot of money, but make sure you’re confident in your abilities first. What Style Inspiration Helps Serve As A Guide? Style inspiration can serve as a guide to both you and any designers you’re working with. Creating a style board can help you to stay focused on the design you really want. What Don’t You Like About Your Home Currently? Making a list of the things that you don’t currently like about your home and what you can do to change those things or make them better is a good idea. How Much Time And Energy Are You Willing To Invest In Designing And Maintaining Your Home? It is a good idea to estimate and think about the time and energy you’re willing to put into designing, creating, and maintaining your dream home! You should also have a clear idea of what budget you have to work with.